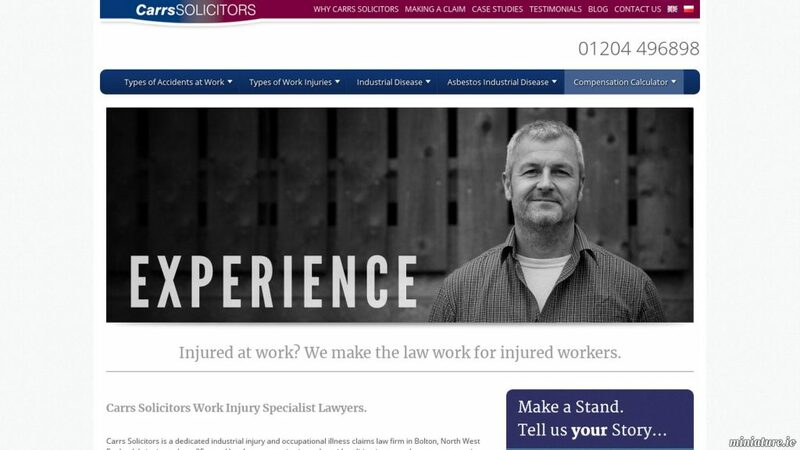 Carrs Solicitors is a dedicated industrial injury and occupational illness claims law firm which is based in Bolton, England. It has 25 years of experience in work accident litigation claims. They have an in-depth understanding that you can count on with your compensation and accident claims.